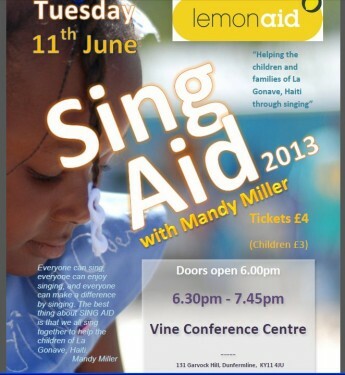 Over 200 school children perform to help the families and children of La Gonave, Haiti. This takes place on Tuesday the 11th of June at 6.30pm with doors open at 6.00pm at the Vine Conference Centre, 131 Garvock Hill, Dunfermline, KY11 4JU. Tickets are available from participating schools for parents etc.